5G Smartphones from #Samsung, #Huawei will be $1000+. Subsidies must return. BOSTON--(BUSINESS WIRE)--5G smartphones will carry wholesale costs of more than $750 when they are introduced in 2019, translating to retail prices of as much as $1,000 or more. 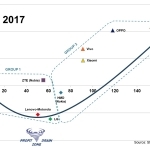 According to a series of newly published reports from the Strategy Analytics Device Technologies practice, 5G device prices will decline at a much slower pace compared to 3G and 4G handsets. Subsidies will be necessary to make 5G smartphones affordable to the mass market. 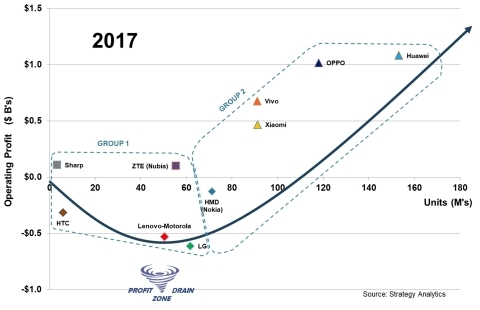 Lenovo-Motorola, LG, and ZTE to name a few are in perilous positions and must carefully execute a pragmatic 5G strategy or risk surging losses. Samsung and Huawei each have challenges to maintain growth with 5G due to their limited presence in China and USA respectively.